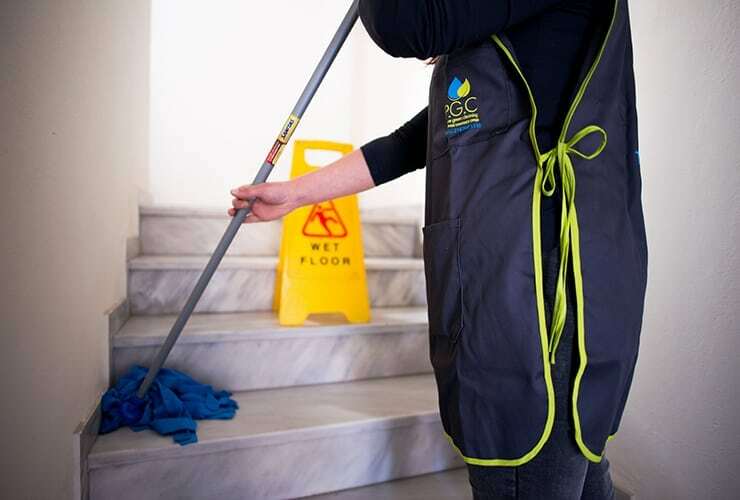 Pure Green Cleaning (PGC) provides excellent cleaning services tailored to the particular needs of each private space, offering the best value for money ratio. Monthly Maintenance agreed on a detailed cleaning schedule. Regular cleaning on special occasions where the needs of the premises cannot be covered by monthly maintenance. PGC’s excellent equipment guarantees impeccable results, ensuring high cleanliness and hygiene. All of our cleaning products are absolutely safe for everyone and environment-friendly, while ensuring the best results. The implementation of modern cleaning methods, in accordance with our strict hygiene and safety standards combined with modern performance control systems, ensures excellent results. PGC has highly specialized workshops on the road which are consisted of trustworthy, highly skilled, consistent cleaners that will satisfy you with their speed, responsibility and reliability, at the best value for money ratio!